This item is a Holiday online promotion and not displayed in the store at this time. All of our products are sold exactly as described and sold with money back guaranty. Availability is a subject to change. This sale ends 01-05-2018. 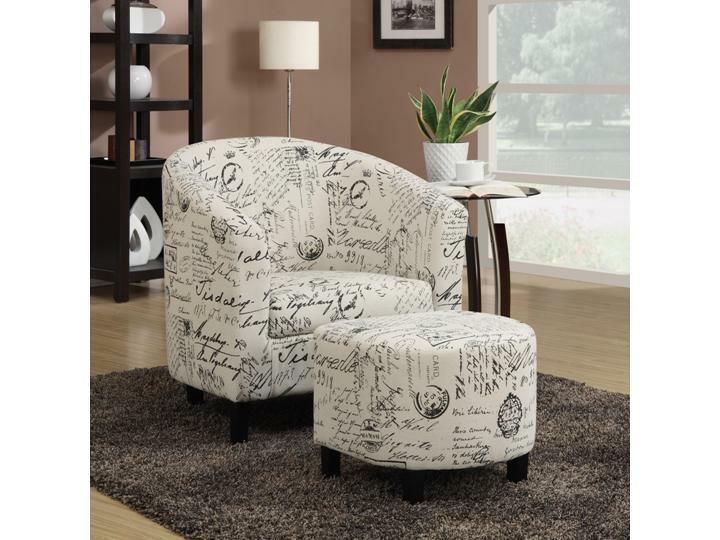 Add a vintage style to your living, family, or bedroom -as well as extra seating- with this chic two-piece chair and ottoman set. 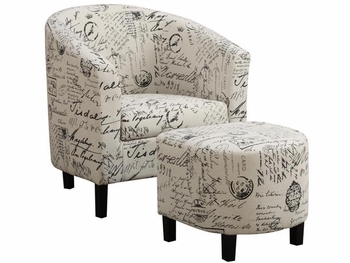 Wrapped in a soft linen-like French Script patterned fabric, this set offers updated style and smooth plush comfort.